0 to 20% of Range: ± (0.02% of Full Scale) Includes all effects of linearity, hysteresis, repeatability, temperature, and stability for one year. 20% to 110% of Range: ± (0.1% of Reading) All models indicate vacuum, but vacuum specification applies to 15 PSI, 30 PSI, 100PSI, and 300PSI models only. Vacuum: ± (0.25% of Full Scale*) Not recommended for continuous use below -14.5 PSI. 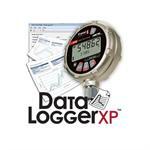 * Full Scale = -14.5 PSIG Refer to XP2i-DP data sheet for gauges that are intended for continuous high vacuum use. Weight: 562 g (19.8 oz) Weight includes batteries. Wetted Materials: 316 stainless steel All welded, with a permanently filled diaphragm seal. and Viton internal o-ring(finger tight) Metal to metal cone seal; O-ring can be removed if necessary. Diaphragm Seal Fluid: Dow Corning 200 Optional connection on back. Connection: Crystal CPF Female 1/4" male NPT adapter included unless BSP or M20 is specified. 1/4" medium pressure tube system compatible with HiP LM4 and LF4 Series, Autoclave Engr SF250CX Male and Female Series. XP2i complies with the Electromagnetic Compatibility and the Pressure Equipment Directives. Refer to the EC Declaration of Conformity for specific details. 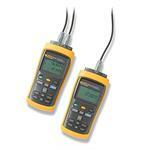 The instrument was tested against AS/NZS 3584, C-tick EMC/EMI requirements. XP2i is approved for use a portable test instrument for Marine use and complies with Det Norsjke Veritas' Rules for Classification of Ships, High Speed & Light Craft and Offshore Standards. 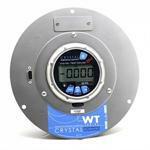 AMETEK offers a variety of solutions for pressure generation and measurement. Our line of products for pressure generation includes everything from small pneumatic hand pumps to a precision, hydraulic pressure comparator capable of generating up to 15000 psi/1000 bar/100 MPa. All of our pumps may be ordered as part of a Pump System, complete with an XP2i and delivered in a sturdy carrying case with custom insert. 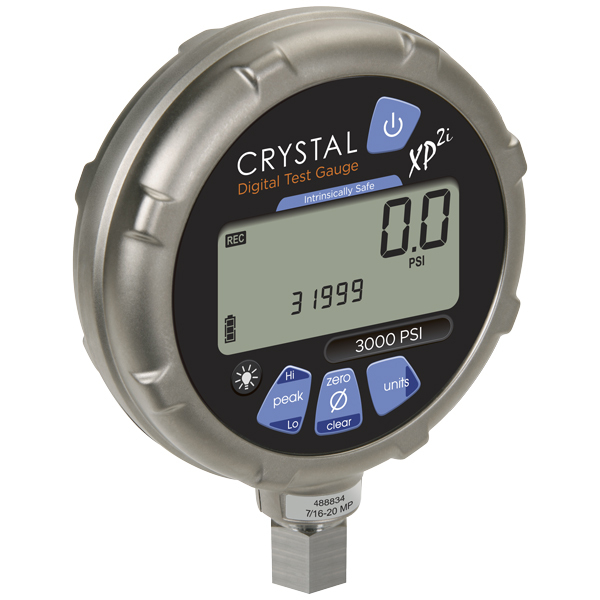 Unneeded pressure units may be disabled via the RS-232 connector using ConFigXP software. • kPa and MPa models can display pressure in kPa, MPa, and bar (or mbar) only. PSI and bar models can display all available units. 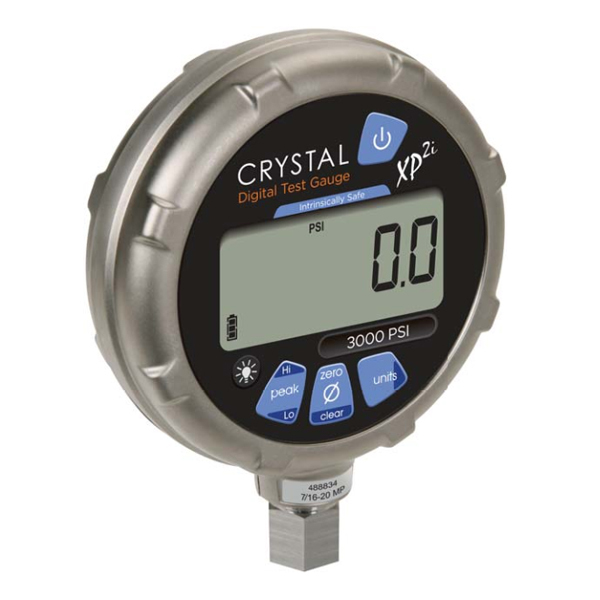 • An XP2i will indicate pressure up to 10% above Range Pressure. Above 110%, the XP2i display will flash, indicating that the applied pressure exceeds the calibrated pressure range. If the calibrated pressure range is exceeded, the pressure displayed may not be accurate. • An Absolute version is available for XP2i gauges with ranges of 2000 PSI and higher. Download the Manual. Download the PSI Datasheet . Download the Brochure.